1 fl. oz. 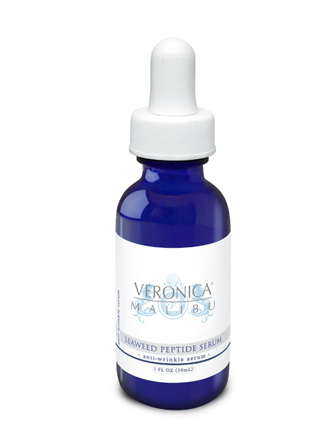 (30 mL) – The Veronica Malibu Seaweed Peptide Serum is an advanced, fast-acting, anti-aging serum for reducing lines and wrinkles. Transforms skin texture to appear more smooth and youthful and helps with loss of elasticity. Clinically proven to help improve the overall look of the skin, with visible benefits in just 5 minutes after application. A beautiful serum formulated with Seaweed and the most recent technology in neuro-chemistry (wrinkle relaxers) and botanicals. Provides amazing results in skin rejuvenation. Provides smoother, vibrant much younger skin. Extends the effective length of injections. Suitable for all skin types.